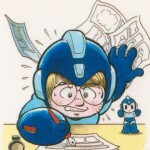 If you subscribed to the new Archie Mega Man comic, it should be in your mailbox today! I’m still eagerly awaiting its arrival myself. 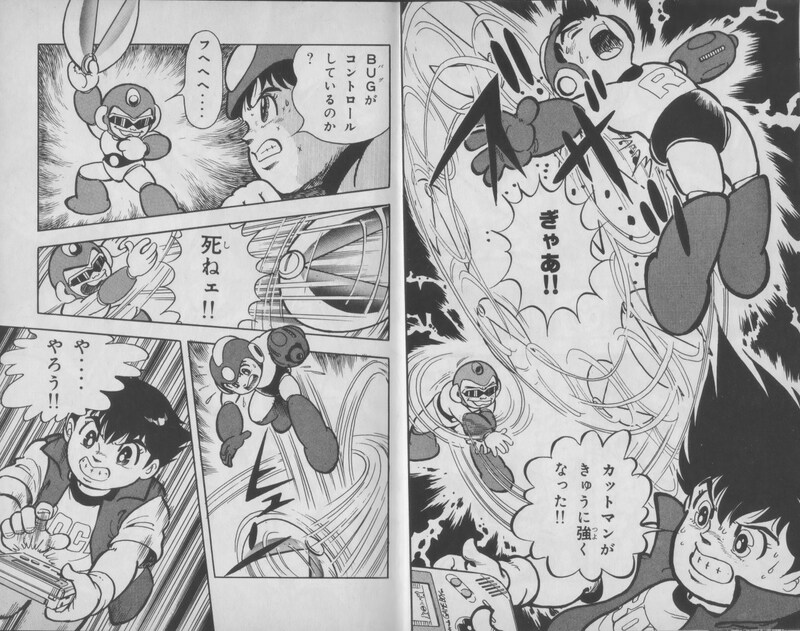 While we wait on the mail to arrive, let’s kill time by looking at some Rockman manga from the early 90’s. Shigeto Ikehara was the artist behind the very first Rockman serialized mangas to appear in Japan’s Bon Bon Comics. His steady stream of Rockman books between 1992 and 1996 firmly established his legacy as the premier mainstream Rockman manga artist, though he’s probably not quite as famous in the West as some of his contemporaries like Hitoshi Ariga. But before he was handed the reigns of the Rockman franchise, his very first professional experience with Rockman wasn’t a “Rockman” manga at all! Meet ROCK’N GAME BOY! 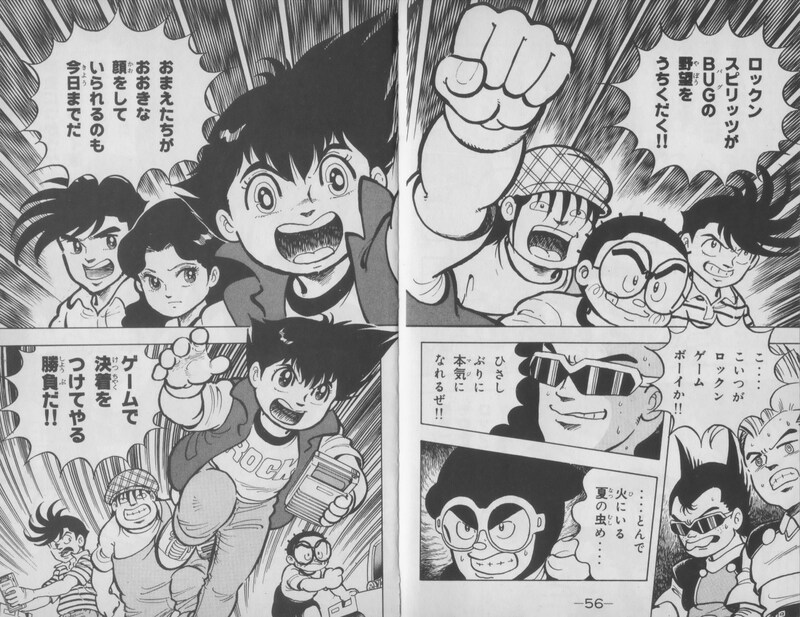 This manga series told the adventures of Hajime Namba and his friends, the Rock’n Gamers. Hajime (whose name is a pun meaning “Number One”) and his teenaged older brother Shou are the best video game players around. 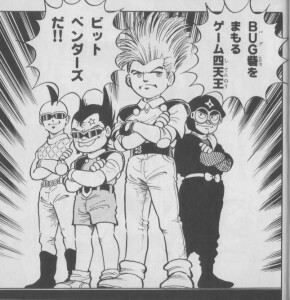 When Shou becomes a famous TV and magazine gaming guru, he becomes the target of an evil organization known as BUG whose evil plans involve using the technology of the Nintendo Game Boy to take over the world. (Seriously. The Game Boy.) This evil organization has agents worldwide and will stop at nothing to achieve their goal, including recruiting unwilling children as soldiers via kidnapping and mind control. The police are obviously out of their depth against such a force, so it’s up to Hajime and a group of enthusiastic young gamers he meets along the way to get to the bottom of things and foil this shadowy organization’s schemes once and for all. 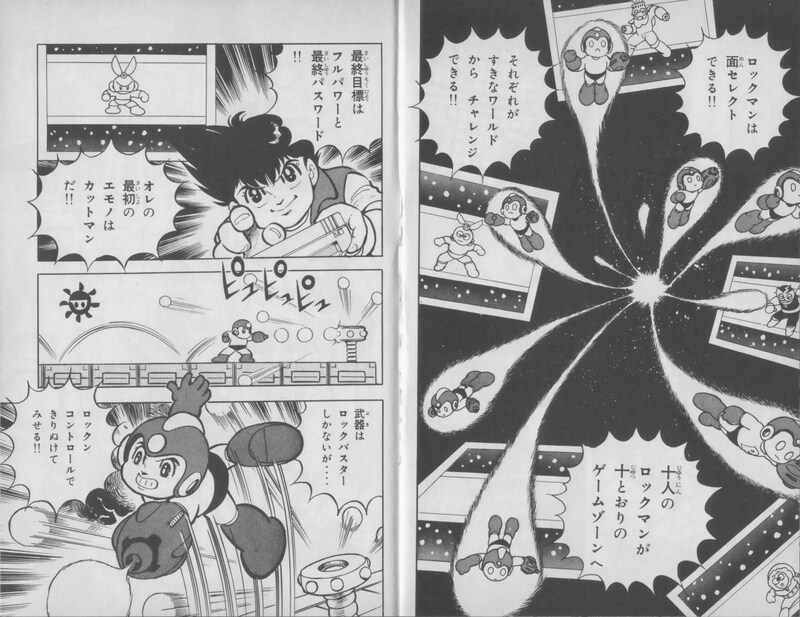 This Game Boy commercial in comic form ran in Bon Bon from 1989 to 1991. 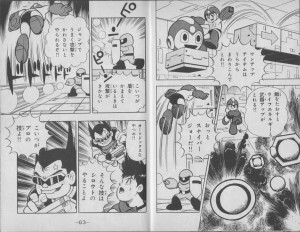 To battle the bad boys at BUG, Hajime would be forced to wage war inside the “Game Boy Zone” where the world within the video game can be entered, and the game characters can be controlled at the same time. Naturally, the bad guys’ main way of dealing with the meddling kids is to challenge them in video games. It’s all a little like Battle Network, only you’re both Navi and Operator. 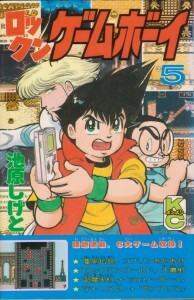 Rock’n Game Boy was a spiritual successor to another of Ikehara’s 80’s works, Famicom Fuunji, a popular manga which performed a similar service for games of the NES. 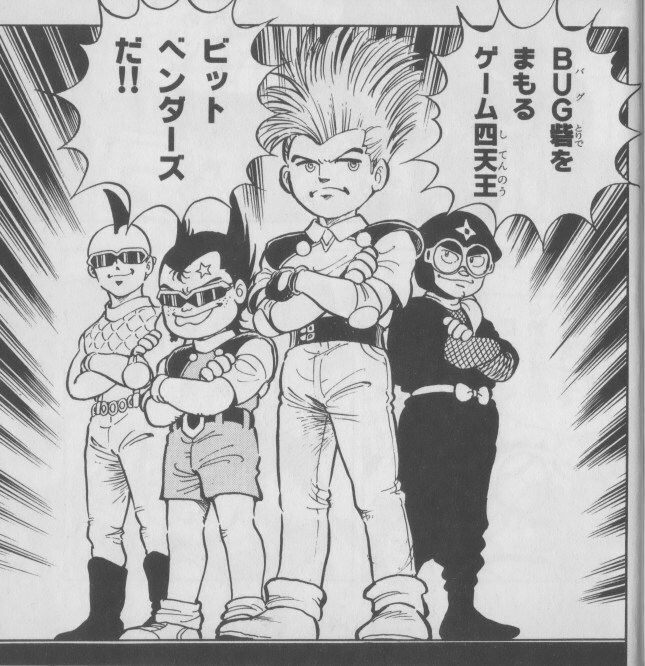 In one chapter of its final volume, R.G.B. featured 1991’s Rockman World as one of the game boy zone challenges. It goes a little something like this. Hajime and his friends (including brother Shou, who has already been rescued at this point) discover a secret trap door beneath a seemingly innocent video game shop that leads to an underground subway platform. This train goes directly to the evil headquarters! (Also sounds like EXE, doesn’t it?) But at the first stop, the group encounters the organization’s hideout guardians: the Bit Benders. Never has the 80’s spawned a more sinister group of middle school dropouts. Willing participants in BUG’s wicked syndicate, the Bit Benders do everything that an evil team should do, like finish each others’ sentences and wear dark sunglasses indoors. Every time I see that kid on the right I want to complement him on his Shadowman cosplay, but it’s really just supposed to be a generic ninja getup. While the Rock’n Gamers (above) outnumber the Bit Benders 6 to 4 and could probably push these geeks in their pajamas down and take their toys away with no trouble at all, they still accept the Bit Benders’ challenge to a gaming showdown. Because good guys play fair! And because they’re kids and they love playing games. The field of battle? 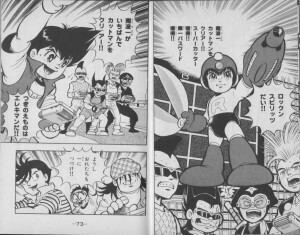 Rockman World. 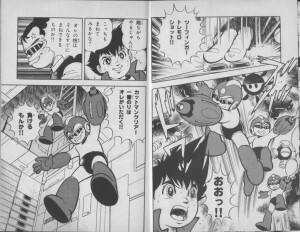 Hajime-Rockman does have quite a few differences from Ikehara’s later Rockman art. His hair sticks out from under the helmet, there’s an “R” brandished across his chest, his robo-briefs are shaded a darker color than this arms and legs, and his buster… well, you can see for yourself. Legend has it Ikehara based many of his early sketches on how they appeared in the game rather than from official artwork, but then Ikehara has never been known for his modeling consistency. The way his characters are portrayed is infamous for changing from one panel to the next. 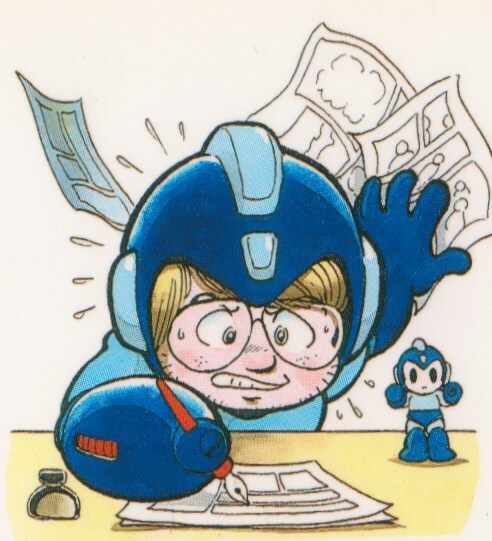 It’s something of a time-honored tradition among manga artists, an adaptation from having to meet with strict deadlines week after week to not sweat the small stuff and play a little fast and loose with the details. Many fans share a light-hearted appreciation for this element in his work. 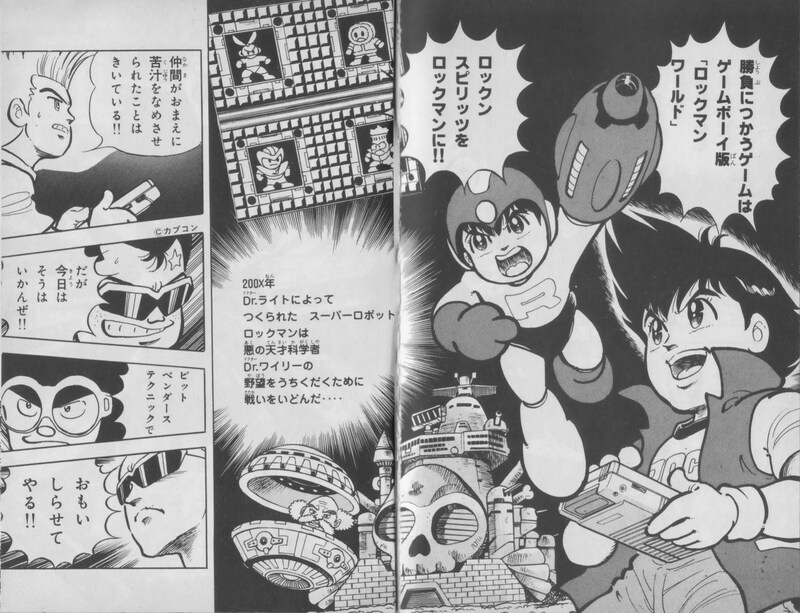 Anyway, the castle looks pretty good, but check out the image of the bosses, and Dr. Wily in his flying saucer. That face…! The two sides spread out into the game zone. After explaining his goal to get all the boss weapons and acquire the ultimate password, Hajime wisely chooses to go for Cut Man first. For the sake of all the little consumers at home, he’s also careful to mention how radical the game is and how tight the controls are. 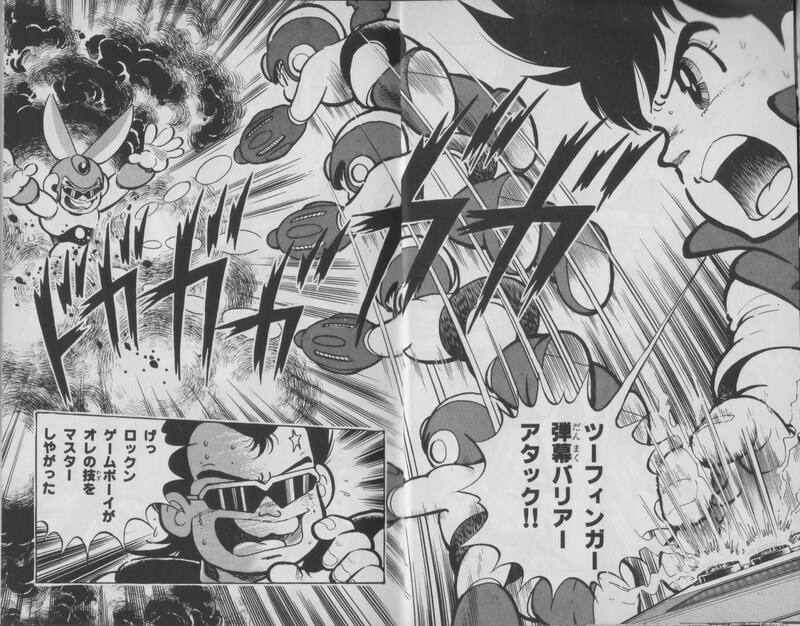 After finding the trollin’est 1-Up ever and a ton of power-ups sprung from the exploded corpses of his enemies, Hajime finally runs into some trouble with that tricky fellow, Sniper Joe. Meanwhile, one of the Bit Benders is hot on his trail! The fiend takes a moment to brag loudly about his super-secret technique, the “Two Finger Tremolo Shot”. 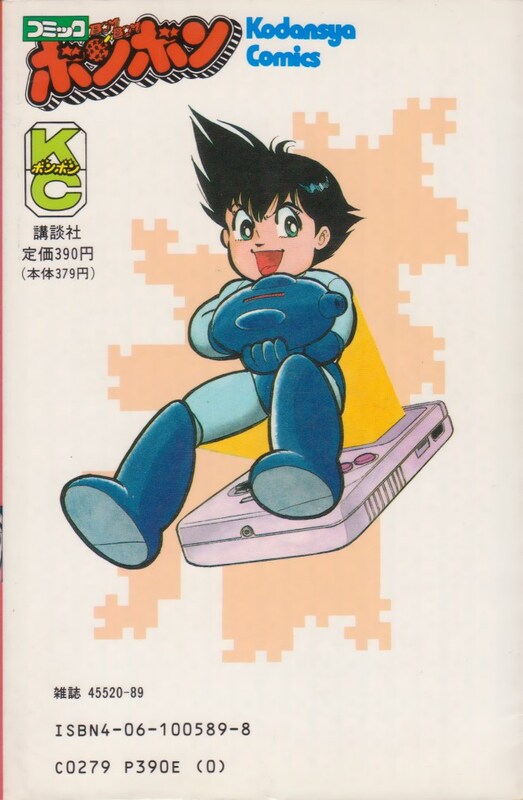 I have never played a game boy that way, and have still managed to clear this game just fine. 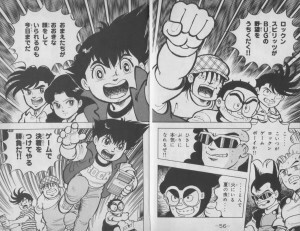 But for whatever reason, this move really impresses Hajime, who is forced to step up his game. 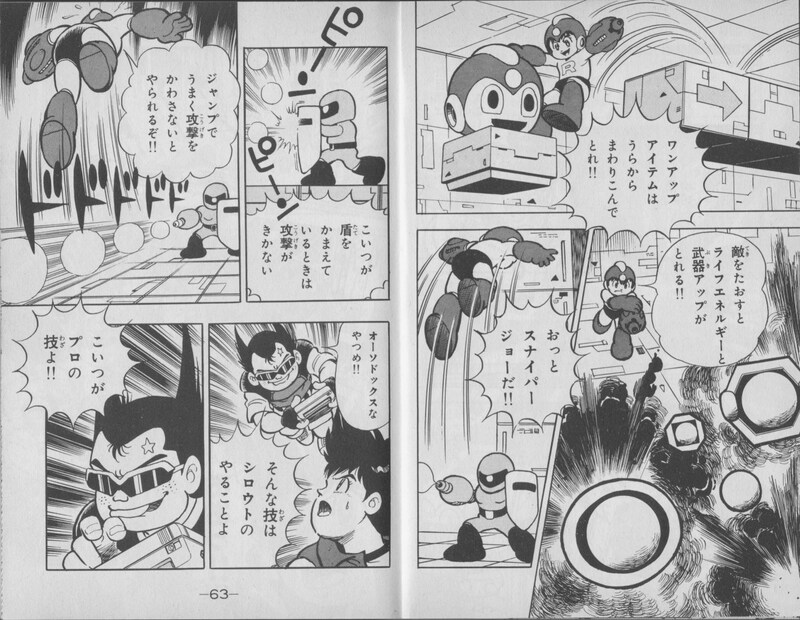 Not wanting to fall behind, Hajime takes first shot at this unusual looking Cut Man with a move he calls the “Gattling Rock’n Buster!” Throwing in a scene that players will recognize, Ike-san opts to show the damage dealt by displaying the life meters at the bottom of the screen (though he seems to forget that the boss’ life meter goes on the right). Fearing that the Rock’n Game Boy is more skilled than he gave credit for, our Bit Bender decides to up the ante by using BUG’s secret weapon, the backdoor game switch, to “overlap” with Cut Man and take on his role. Being the bright boy that he is, Hajime quickly realizes that BUG’s toadie is controlling the boss somehow, and comes up with a plan. 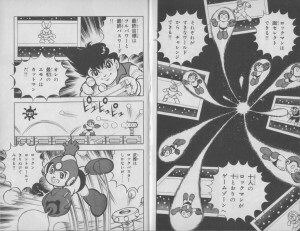 Using his opponent’s own two-fingered technique against him, Hajime creates an inescapable wall of firepower that tells that old “3-shots per screen” rule to eat it. Cut Man Stage Clear! Hajime has earned his first password, acquired the “Super Cutter” weapon, and won the Rock’n Gamers’ first victory over the Bit Benders. Now that’s “Rock’n Spirit! 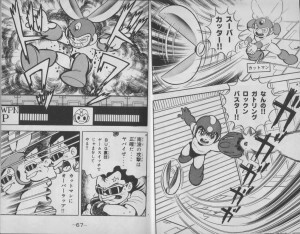 !” Which is but one of the series’ many catch phrases, and one that Ikehara would also later adapt to the Rockman mangas too by changing it to “RockMAN spirit!” Wow. Whatever they paid that man, it was not enough. 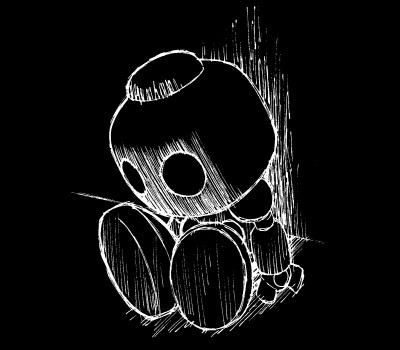 Is that the end of the Rock’n Gamers’ adventures? Not hardly! 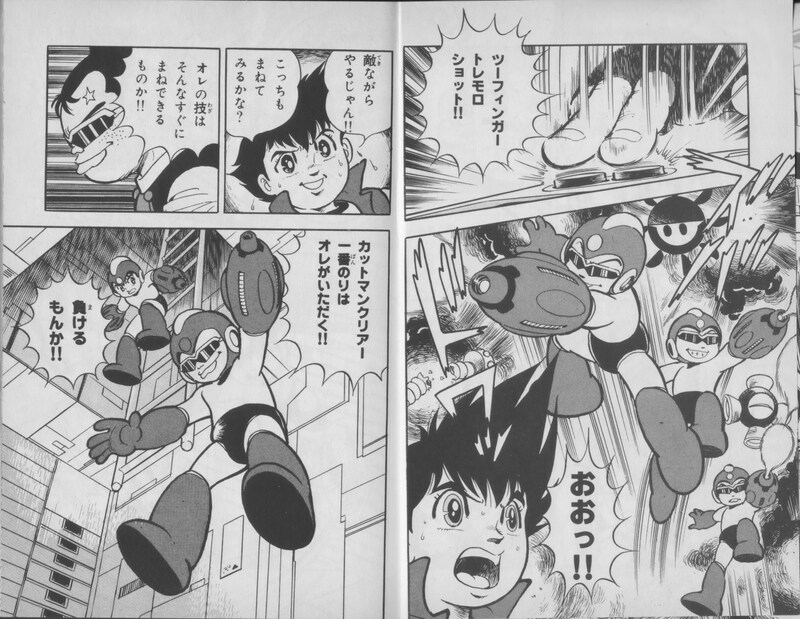 Up next they’ll tackle Elec Man! But that’ll have to wait until next week! 5 Comments to "Who Puts the “Rock” in Rock’n Game Boy"
The far away boss shots are the best. Good to know the controls are tight, too! I like how they all use an industrial arcade joystick playing stlyle on a gameboy. Whoa! 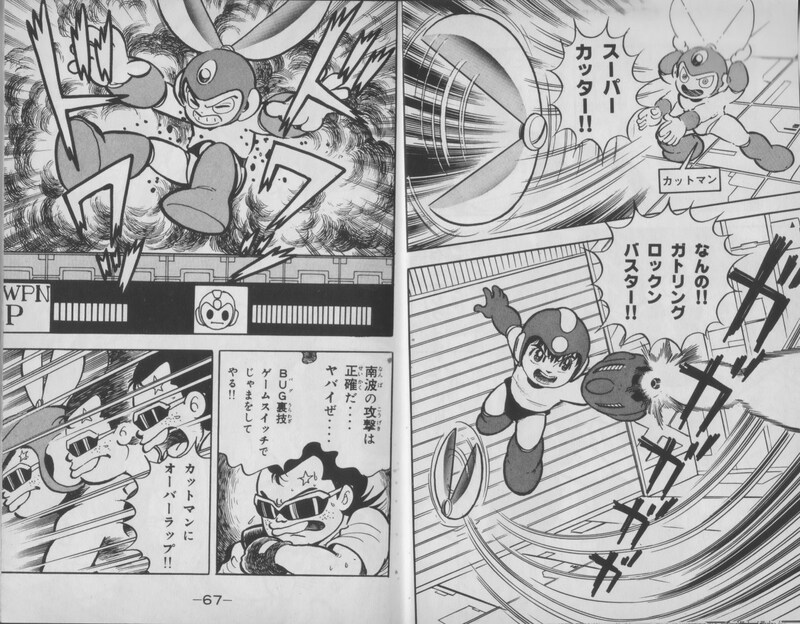 Elecman looks like his Netnavi counterpart, 10-11 years before Rockman.Exe games existed.